Whether you are a beginning rider looking to perfect your skills, or a more experienced equestrian eager to earn year-end Regional Awards AND/OR qualify for Regional or National Finals, Blenheim EquiSports is “The Place to Jump” and is proud to provide numerous pathways to your success. USHJA Zone Awards: Governed by the USHJA, the year-end age group awards program recognizes top riders by ZONE; Blenheim EquiSports events provides points for Zone 9 & 10 competitors. 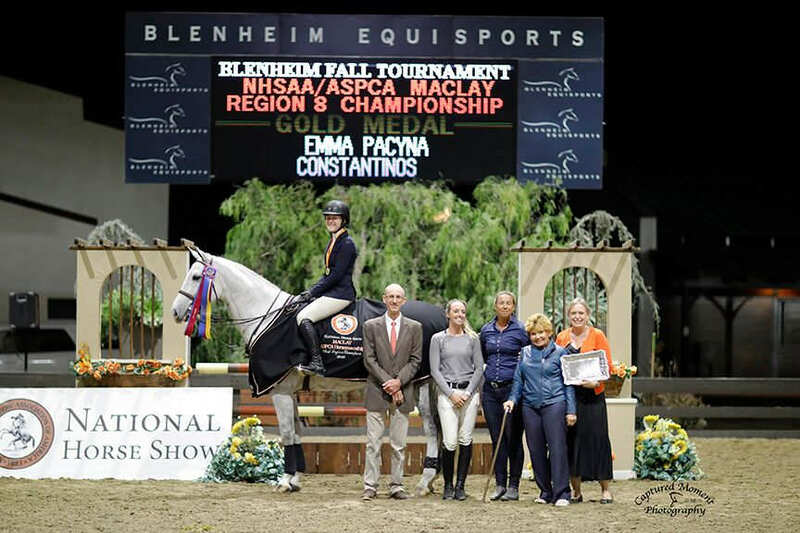 Regional Award Programs & Medal Finals: Blenheim EquiSports is host to the CPHA Medal Finals, held during Blenheim Summer Classic, August 14-18, 2019; the CPHA Foundation Finals held during Showpark Summer Classic, August 21-25, 2019, and the WCE Medal Finals, held during The Las Vegas National, November 12-17, 2019. Blenheim EquiSports competitions are affiliated with the following regional organizations: CPHA, PCHA, OHSA, Foxfield, Onandarka, & LEGIS League. See each link for more information. 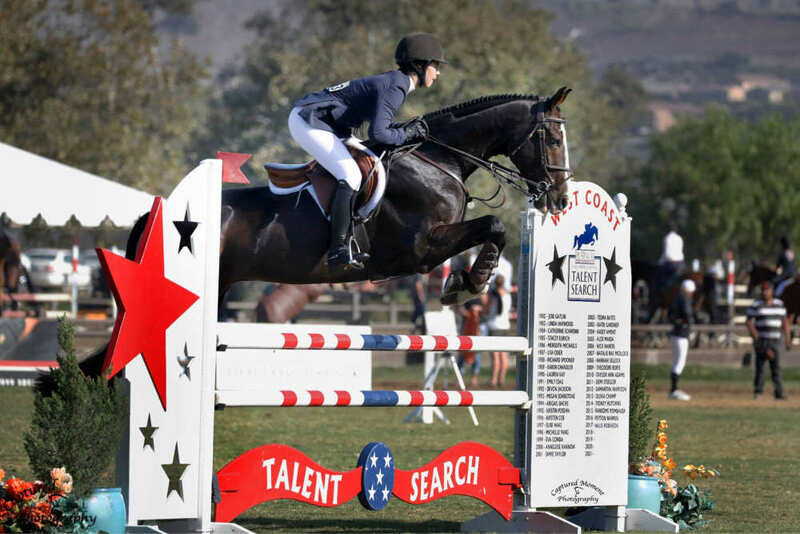 Platinum Performance/USEF Show Jumping Talent Search Medal: The Talent Search Program encourages young and junior riders to develop the skills needed to become and effective jumper rider and prepares them to be the next generation of international riders. Talent Search classes can be found at horse shows nationwide; two finals are also part of the Program. The Finals East is held at the USET Foundation Headquarters in Gladstone, NJ and the Finals West is held at the Rancho Mission Viejo Riding Park in San Juan Capistrano, CA during the Blenheim International Jumping Festival, September 18-22, 2019. 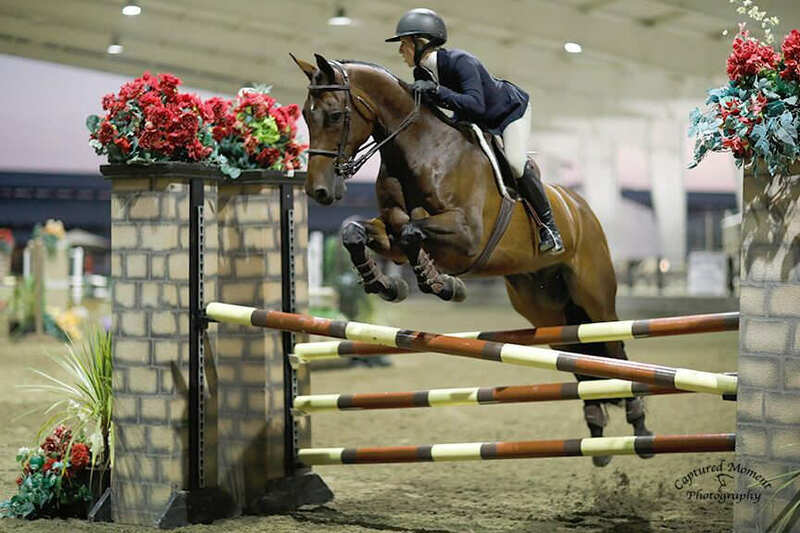 The Platinum Performance/USEF Show Jumping Talent Search Finals attracts the nation’s top Junior and Young Riders and former winners have gone on to great success in international Show Jumping competition. Over the course of multiple phases of competition, culminating in a head-to-head competition among the top entrants, the Finals are carefully orchestrated to test the entrant’s skills in the show jumping arena. Qualifying classes at the Two & Three Star level are held at the majority of Blenheim EquiSports shows – see individual Horse Show time tables for scheduling. ASPCA Maclay Medal, Regional & Final: Each year, hundreds of the top Junior riders across the country compete to qualify for the National Horsemanship Championship for the Alfred B. Maclay Trophy at thousands of shows; first to qualify for one of eight Regional Championships and ultimately for the honor to compete at the finals at National Horse Show in Lexington, Kentucky. Blenheim EquiSports hosts qualifying classes during most 2019 events, plus is host to the Region 8 Championship during Blenheim Fall Tournament, September 11 – 15, 2019. See individual Horse Show time tables for scheduling. Washington International Horse Show 3’6” Medal & Final: Each year the Top 30 junior riders in the country are invited to compete in the Nation’s Capital at the prestigious Washington International Horse Show in their unique Championship Medal where scores from a Hunter Phase, Jumper Phase, and a work-off are combined together for the overall results. Qualifying classes are held at the majority of Blenheim EquiSports shows – see individual Horse Show time tables for scheduling. 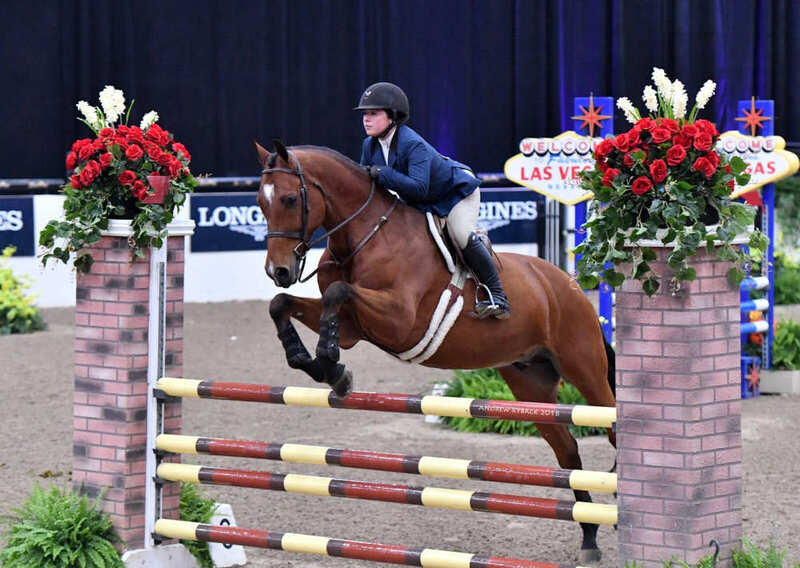 USHJA 3’3” Jumping Seat Medal & Finals: The USHJA 3’3″ Jumping Seat Medal provides Junior riders with the opportunity to develop their equitation skills over a jumper-style course. Year-end awards will be awarded to the top 12 riders in the Eastern and Western Leagues; a Medal Final is offered on the East during the Capital Challenge Horse Show and on the West during the Blenheim International Jumping Festival, September 18-22, 2019. Qualifying classes are held at the majority of Blenheim EquiSports shows – see individual Horse Show time tables for scheduling. Hamel Foundation NHS 3’3” Medal & Finals: Junior Riders seeking to qualify for a National 3’3” Medal Final have the ability to do so by competing in the Hamel Foundation NHS 3’3” Medal Program, with finals each November during the National Horse Show, Lexington, KY. Qualifying classes are held at the majority of Blenheim EquiSports shows – see individual Horse Show time tables for scheduling. Amateur Riders seeking to qualify for a National 3’ Equitation Medal Final have the ability to do so by competing in the Ariat National Adult Medal Program, with finals each October during the Capital Challenge Horse Show, Upper Marlboro, MD AND/OR the T.H.I.S Adult Medal Program, with finals each November during the National Horse Show, Lexington, KY. Qualifying classes are held at the majority of Blenheim EquiSports shows – see individual Horse Show time tables for scheduling. T.H.I.S Children’s Medal Program: Junior Riders seeking to qualify for a National 3’ Medal Final have the ability to do so by competing in the T.H.I.S National Children’s Medal Program, with finals each October during the Capital Challenge Horse Show, Upper Marlboro, MD. Qualifying classes are held at the majority of Blenheim EquiSports shows – see individual Horse Show time tables for scheduling. Washington International Horse Show Pony Medal & Final: Each October the Top 30 junior pony riders in the country are invited to compete in the Nation’s Capital at the prestigious Washington International Horse Show in their unique Championship Medal where scores from a multiple phases are combined together for the overall results. Qualifying classes are held at the majority of Blenheim EquiSports shows – see individual Horse Show time tables for scheduling. Marshall & Sterling Insurance/USEF Pony Medal & Final: Each August hundreds of qualified pony riders converge on the Kentucky Horse Park, Lexington, KY during the USEF Pony Finals for the prestigious annual medal final where riders demonstrate their skills and ability. Qualifying classes are held at the majority of Blenheim EquiSports shows – see individual Horse Show time tables for scheduling.